Everybody loves colour change mugs. Then again, who doesn’t? There is something magical about filling the cup and watching it reveal the hidden message or picture on the surface. The fascinating property is what makes it stand out among the other ceramic cups. It’s the perfect awe-inspiring promotional item guaranteed to bedazzle everyone in the room. A fascinating and quirky promotional product, in contrast to the other promotional items, this mug is the real deal for your promotional uses. The cup is available in black and white and you will simply love the chameleon-like properties of the mug. It’s especially fun for the kids who will not take their eyes off of the bright colours. So one may ask how do these mugs actually work? It’s not just simple physics. Basically, the colour or logo of the mug can be seen as such, and after you pour your hot coffee, a new pattern slowly emerges onto itself, revealing a new picture. As you drink the coffee, the former pattern becomes visible again. But how? The mugs are coated with a very special heat-sensitive paint. It’s a process called “thermochromism” in which the special paint alters its colour when the temperature changes. Thermochromism may sound complicated, but it really is just a simple property of some materials which change their own color when a certain temperature is reached. The specific paint is called thermochromic paint, a heat-sensitive substance containing colour-changing pigments: leuco dyes and liquid crystals. That’s all there is to it, it is truly a mesmerizing sight to behold. The ezymugs colour-changing mugs are a fantastic option for your promotional product of choice, whether if you are relaunching old products or if you want your brand to stand out among your clients and customers. One thing is for certain, they won’t be unamused. The Colour Change Mugs come in compact and variable sizes and are simply perfect for product giveaways, as well as when you want to send the perfect gift to your friends and family. Promotional giveaways are also an excellent choice if you choose your gift wisely. These mugs are all the craze nowadays. Always bear in mind that the Ezymugs Colour Changing Mugs are not suitable for dishwashing! The mugs come in large sizes and are suitable for an array of many promotional uses like marketing, parties, etc. The capacity boasts 300ml, and the overprint goes via pad printing (55mm w x 60mm h) as well as wrap printing (175mm w x 70mm h) with a sublimation print (200mm w x 70mm h). 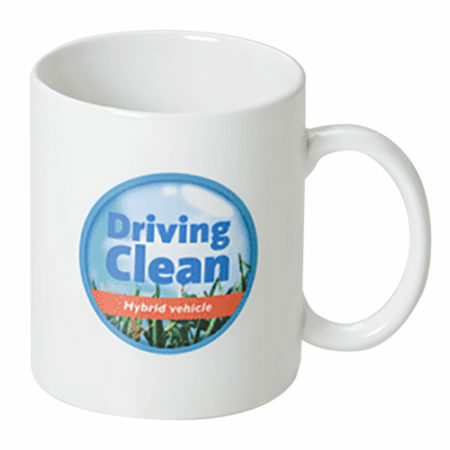 The excess space on the mugs is enough to get your message and logo across to all your clients and customers. Absolutely perfect for any promotional campaigns you may have, any sort of logo or message is easy to print. These mugs are a sturdy option for many promotional campaigns and are suitable for children and adults alike. If you are looking for a quirky but not too eccentric promotional item for your business, the Colour Change Mug is your go-to product.